This killer superbug spreads silently. Researchers have found evidence that drug-resistant superbugs, which have been labeled “nightmare bacteria,” are spreading faster and more stealthily inside US hospitals than previously thought. In the US, the bacteria, known as carbapenem-resistant Enterobacteriaceae (CRE), infect roughly 9,300 people per year and kill around 600. And now researchers think they might spread from person to person asymptomatically – which explains why doctors are often unable to detect it. “While the typical focus has been on treating sick patients with CRE-related infections, our new findings suggest that CRE is spreading beyond the obvious cases of disease,” said William Hanag from the Harvard T. H. Chan School of Public Health. CRE are a class of drug-resistant bacteria that are even able to withstand carbapenems – last-resort drugs that are administered after all other antibiotics fail. 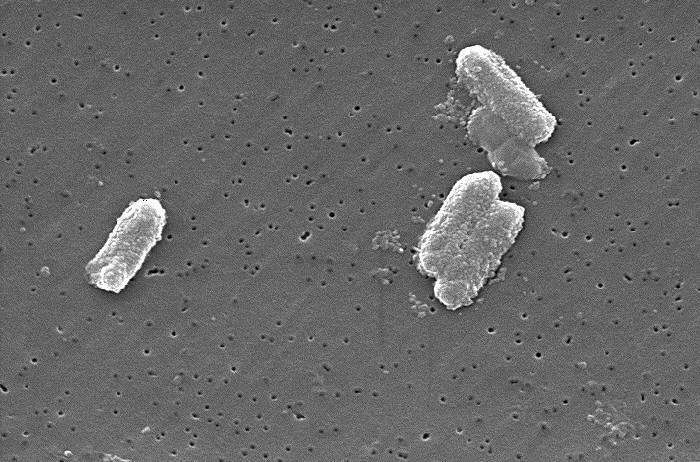 Enterobacteriaceae are a large family of bacteria that include bugs such as Salmonella, E. coli, and Shigella –all of which are common causes of food poisoning and stomach bugs. When they’re not drug-resistant, these bacteria can easily be treated by antibiotics, but antibiotic resistance has increasingly been spread within the family. An official report last week showed that a US woman has already died from one superbug – an antibiotic-resistant strain of pneumonia (not a type of CSE), which was resistant to all available antibiotics in the US. Now, Hanage and his colleagues have discovered that CSE superbugs, at least, might be spreading at a much faster rate than expected, and are starting to avoid our normal ‘surveillance’ methods by spreading asymptomatically. “You know the phrase ‘Shutting the stable door after the horse has bolted?’ The horse has not only bolted, the horse has had a lot of ponies, and they’re eating all our carrots,” Hanage told Helen Branswell at Stat News. To figure out how rapidly CRE was diversifying and spreading, the team analyzed over 250 samples from hospitalized patients in three different Boston-based facilities and one in California. When finished, they found that CRE populations were way more diverse than previously thought, meaning that drug-resistant genes had spread more rapidly and easily between the strains than expected. Sometimes the species they found didn’t even carry the genes known to suppress carbapenems, but were still able to survive them, suggesting that they’ve found new ways to avoid these antibiotics that we don’t even know about yet. “There are many different ways in which they can be resistant,” Hanage told Stat News. To make things worse, the team wasn’t able to see a clear pattern of transmission for these CRE strains – the resistance seemed to be spreading even without any obvious cases of illness or infection. “The best way to stop CRE making people sick is to prevent transmission in the first place,” Hanage said. The team hypothesizes that these transmissions might be happening from person to person asymptomatically, though they will need to carry out further studies to verify this is the case.